When you need a holder for your place cards, a pretty package for your bouquet of flowers note, or storage for smaller items, our 2 3/4 x 3 3/4 Envelopes will not only fit those occasions but dress them up with elegance and class. 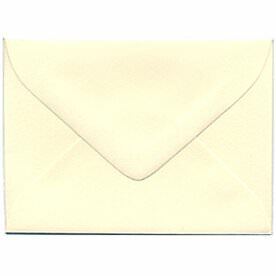 These small but classy 2.75 x 3.75 envelopes will decorate any occasion, no matter how small in size, beautifully. Big things come in small packages sometimes, and our collection of envelopes in this size surely attests to that. 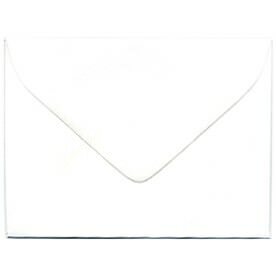 Try our Ivory 2 3/4 x 3 3/4 Envelopes to bring elegance into your wedding place cards. These are a great carrier for place cards and will bring a sense of surprise once your guest opens it up! Our White 2.75 x 3.75 Envelopes that come in the cleanest color of white, will make for a bright accessory to your little notes. Both feature beautiful V-Flaps that enhance your envelope style and both feature smooth textures for a sweet edge. Or store coins, stamps, seeds, even tiny business cards in here! They'll definitely be a cute accessory to your office organization! Small, sweet, and super stylish, our 2.75 x 3.75 Envelopes will keep your style intact while carrying the elegance of a queen.